Though dumpster rental prices primarily vary by location and size, the type and weight of your debris are just as important as they will determine what size dumpster you need. Your project's timeline may also determine the total cost of your dumpster rental, especially if you will need your bin for longer than the length of the included rental period. Use the chart below to compare the typical size and average cost of the most common dumpster rental sizes. Then, give us a call for a quick quote. *Actual dimensions and weight limits vary by location. Have a long-term project ahead of you? What Makes Our Dumpster Rentals Budget-Friendly? We offer cheap dumpster rentals throughout the country, made possible by our simple, flat-rate pricing. The rate we quote you will always include your delivery, pickup, weight limit, rental period and any applicable taxes - allowing you to find an affordable dumpster rental that fits right in your budget. What's the Difference Between Flat-Rate & Variable-Rate Dumpster Rental Prices? How much does a dumpster really cost? 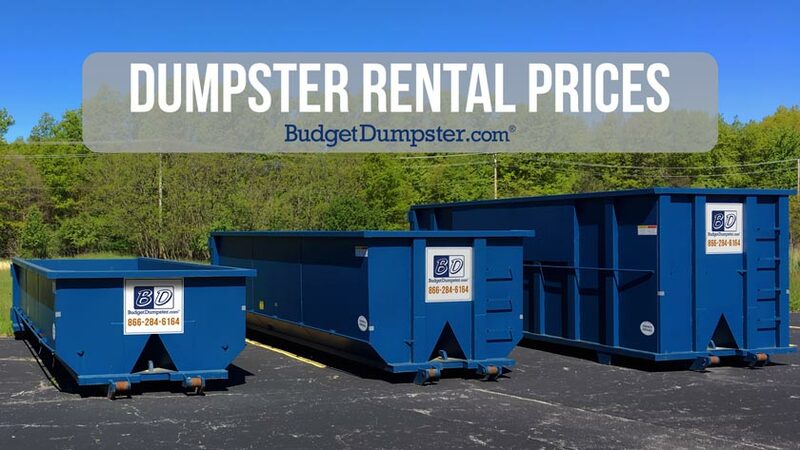 At Budget Dumpster, we make it easier to answer that question by offering flat-rate dumpster rental prices that show you the total cost of your rental upfront. Take a look at the sample invoices below to learn more. Our flat-rate pricing bundles your rental period, delivery, pickup and any applicable taxes into one low rate. This rate also includes a set weight limit, typically ranging from 1 to 6 tons depending on the size of the dumpster. Because the weight limit is built into the cost of your dumpster rental, you can often throw out more debris without paying extra. Companies that offer variable rates tend to include a variety of additional fees in their invoices, including separate charges for the rental and landfill disposal. It may appear more transparent, but it obscures the full cost of your dumpster rental as it isn't always clear how much you'll be charged after they haul it away. Nevertheless, variable-rate dumpster rental pricing isn't necessarily more expensive, but it can throw a wrench into your project's budget. 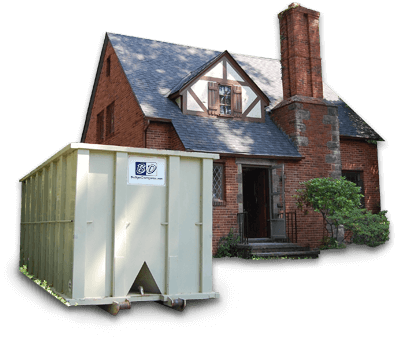 With our flat-rate dumpster rental prices, you'll be able to plan ahead and set the budget for your project. If you want to know the full cost of your dumpster rental upfront, give us a call at 1-855-902-7464. You'll always know how much you need to budget for cleanup thanks to our transparent, affordable dumpster rental service. We take the time to fully understand the size and scope of your project, ensuring you receive the right roll off containers at a price that works for you. Whether you're building a new high-rise downtown, or simply want to clean out your garage this weekend, give us a call and we'll give you a complete cost breakdown of your dumpster rental.